Mrs. Betty Hillhouse established the E.J. and Betty Hillhouse Scholarship that was awarded in March 2016 in memory of her husband, the late E.J. Hillhouse, a Korean War veteran. Both were natives of Steele, Mo., and graduated from Steele High School in 1952. The couple retired from the U.S. Department of Defense in Redstone, Ala.  he from the U.S. Army Missile Command and she from the U.S. Defense Intelligence Agency. 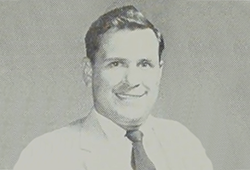 Mr. Hillhouse attended Arkansas State College from 1957-59 and graduated in 1961 from the University of Arkansas with an engineering degree. Students from South Pemiscot High School who have a minimum grade point average (GPA) of 3.5 and a 21 ACT score who plan on majoring in engineering or the sciences are eligible to apply for the scholarship. Mrs. Hillhouse has furthered her commitment to generations of students by endowing the scholarship through her estate plan.